I feel so lucky that CityCraft is in Dallas. World-class sports teams, world-class restaurants, and right now, host to the world-class Jean Paul Gaultier exhibit at the Dallas Museum of Art, a tribute to the life and work of the brilliant (and often controversial) designer. I was somehow lucky enough to be invited to the private exhibit preview party last night, and it was certainly one of the most glamorous experiences of my life! Dallas glitterati, decked to the nines. The exhibit itself is spectacular and features these bizarre mannequins with "moving" faces, created by a high-tech projection system. For some reason, they allowed pictures in the exhibit, which went against all of my childhood museum-behavior education: "Don't touch! ", "No cameras!" So I sheepishly took a few poor photographs with my phone, all the while feeling like the art police were going to jump out at any minute and arrest me. 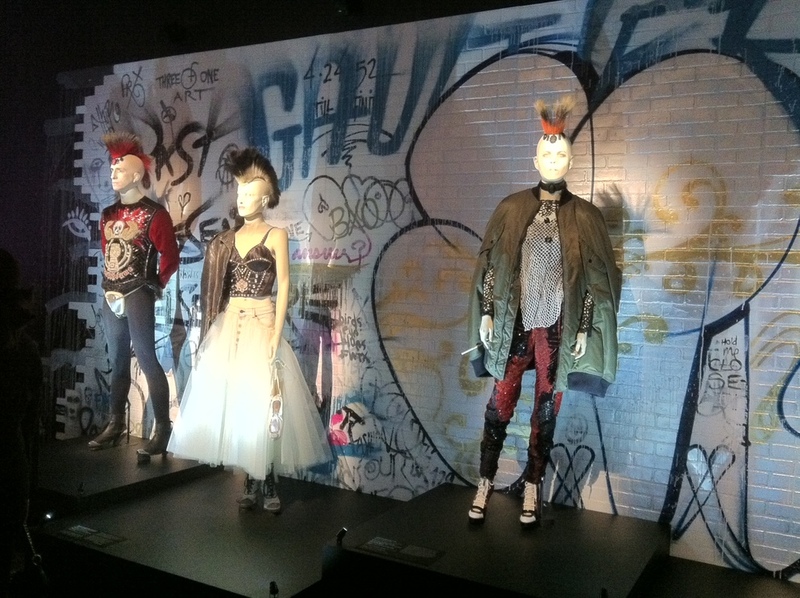 As we walked out of the exhibit, we nearly ran smack into Jean Paul Gaultier himself. No joke. Whatever you do, do not miss this. This exhibit is HUGE for the city of Dallas. The infamous Kaffe Fassett skirt made an appearance.